Explosive Independence Day E-cigarette Savings! Explosive Independence Day Electronic Cigarette Savings! Have you seen us on the news, web or TV? ProSmoke continues to be recognized as the market leader for quality, performance and reliability. We're proud to receive so many accolades and recognition from our customers, TV & News organizations and Print/Online publications. The e-cigarette is at the forefront of health and technology news lately and we're excited to be one of the original companies in the industry with a market tested and successful product. We want to thank you with even more savings each month! Help us celebrate independence day with special savings and coupons from ProSmoke! 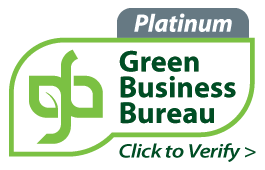 Electronic Cigarette company in the industry to have multiple Green Certifications, including the first and only company to be certified by the Green Business Bureau? You can feel comfortable buying from an environmentally responsible company! We continue to expand our product line with innovative products, flavors and accessories. Check out our new disposables, and start shopping today! Friends, Family and even strangers who buy ProSmoke with your referral earns you money! Sign up and earn $25 for free and start spreading your special ProSmoke web address to earn commissions on every single sale! © 2013 ProSmoke. All rights reserved. Not applicable to previous purchases. No exceptions whatsoever. Limited to one coupon per customer. Coupons cannot be combined and are limited to one per purchase.